We are supported by readers like you. Charles Maldonado covers the city of New Orleans and other local government bodies. He previously worked for Gambit, New Orleans’ alternative newsweekly, where he covered city hall, criminal justice and public health. Before moving to New Orleans, he covered state and local government for weekly papers in Nashville and Knoxville, Tenn. Hearing is a “comprehensive assessment” of department’s progress. The city was originally asked to broadcast it on public access but declined in a December letter to the court. Vote on plant repeal, fine over paid-actor scandal pushed to February. The Lens’ fake subpoena records suit comes to an end. Orleans Parish takes over embattled Harney charter school. And a new episode of Behind The Lens. Perry, president of New Orleans & Company, slammed city government in Behind The Lens interview. Plus a year in review from our weekly podcast Behind The Lens. A vote to hand control of McDonogh 35 to a charter group means New Orleans is likely to become the first major city in the country without traditional, direct-run schools. And one of the city’s most desirable elementary schools will not accept new pre-K students next year. The proposal would limit residential whole-home rentals to property owners with homestead exemptions. Kristin Palmer, who authored the plan unveiled last week, said she wants to delay the vote until after the holidays to allow the public to weigh in. Lawyer asks for federal investigation of Entergy’s charitable arm. Teachers have to reapply for their own jobs at charter school facing takeover and eventual closure. Plus city budget news, a new Behind The Lens and a columnist asks Mayor Cantrell to keep City Hall where it is. 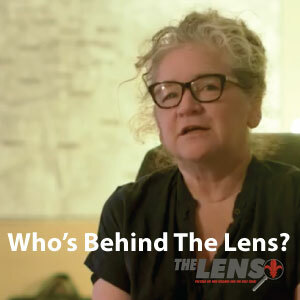 The Lens’ election maps, New Orleans school grades released, city budget process gets off to a rocky start and a new episode of Behind The Lens. For the second time, The Lens has joined ProPublica’s Electionland, a coalition of newsrooms around the country that are covering problems that prevent eligible voters from casting their ballots during the 2018 elections. Here’s help sorting out May 4 millage for parks — and be sure to vote!